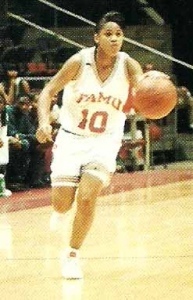 Pat Hoskins dominated the paint as a four time All-America and All -SWAC center at Mississippi Valley State University from 1986-89. In 1989, Pat had two 55 points scoring games…vs. Southern University and Alabama State two weeks apart, which was the fifth highest scoring totals in NCAA Division I history. She is only the second woman in NCAA history to lead the NCAA Division I in scoring and rebounds in a season. Her scoring average -33.6 points per game– set another NCAA Div. I record (1989). Hoskins’ 3,122 career points set another NCAA record. Her 15.1 career rebounding average ranks second in NCAA Div. I women basketball. Tracy Saunders was the catalyst on the 1991 Norfolk State Div. II Championship Team. She was 3-time All-CIAA / CIAA Player of the Year and the 1991 Kodak/NCAA Division II National Player of the Year. Saunders was inducted into the Norfolk State University Sports Hall of Fame. Lisa Rice tasted success in basketball since her high school playing days at Gloucester High School in Virginia. 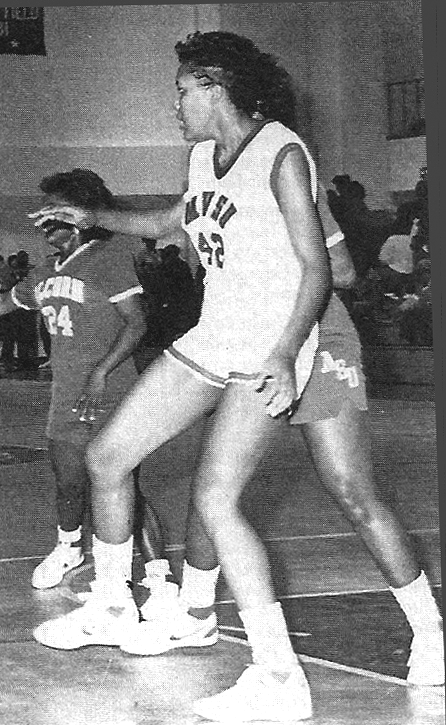 She was named the 1989 Female Player of the Year by the Newport News Daily Press and the 1990 Gloucester High School Female Athlete of the Year. Rice was recruited to Norfolk State by highly successful coach James Sweat and went on to lead the Spartanettes to three consecutive CIAA Championships in 1992, 1993, and 1994. They made four NCAA Division II Tournaments appearances A point guard with deft quickness and dribbling skills, Lisa led a highly productive offense and was a game changer on defendse with constant pressure, creating steals and turnovers that altered games. 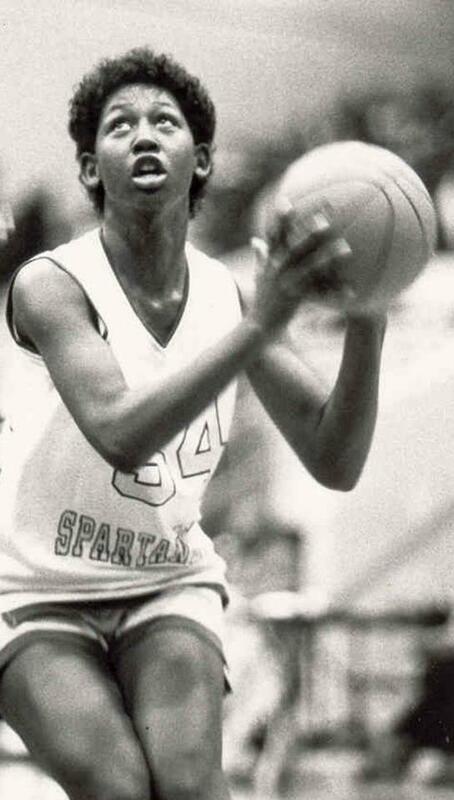 She led the Lady Spartans to the national quarterfinals in 1993 and 1994, and was named the CIAA Player of the Year in 1995. 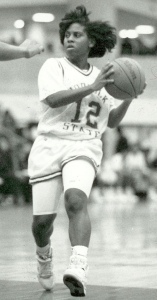 She was the CIAA Tournament MVP in 1992, 1993, and 1995 and set a tournament assist record with 43 in 1993. She also set a single season record with 264 assists. Rice finished her career as the all-time assists leader in NCAA Division II-1067, and shares NSU’s single game assist record of 20 (1995). Natalie White’s college career reads like a Career Highlights reel: She set a NCAA record for most steals in a game with 14 against South Alabama in 1991 and led the nation in steals with 143 in 28 games (5.1 per game). As a 5-5 point, she had 13 rebounds against Delaware State in 1993. In 1992, White twice scored career high 31 points against Florida International and Southeast Louisiana. She had a rare night for a college player when she posted a near quadruple-double with 16 points, 11 assists, nine rebounds and nine steals in a game against Troy State on February 8, 1994. She capped off her senior season leading the nation in steals with 172 (new NCAA record) …2nd in team scoring – 12.3 ppg…3rd in rebounds – 6.2 rpg…120 assists…1st in free throw percentage-69%. The perennial All-MEAC point guard, Natalie was named to the All-MEAC First Team…BCSIDA 2nd Team…Black College Sports First Team in 1994.